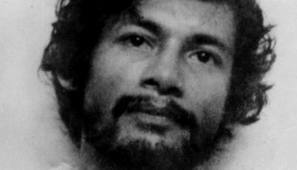 This is my first-person account of interviewing serial killer Charles Sobhraj in prison in Kathmandu in 2003. Indian parents tell their children that Charles Sobhraj will come and eat them if they are naughty. That’s what crossed my mind as I walked with Canadian photographer and documentary film maker Steve Sandford through the gate of Kathmandu prison – which looked like a Spaghetti western film set, much like its watch towers and armed guards – into the visitors’ area, a long narrow room, split in half by a low wall and strong chicken wire that reached up to the ceiling. Visitors had to sit down on stone benches. To our left and right families were shouting across the low wall, through the chicken wire to their incarcerated relatives. This was Christmas 2003 and we were here to interview a man infamous and feared across a continent. Charles Sobhraj, one of the world’s most notorious serial killers, was awaiting trialin Nepal and had agreed to grant us an interview. So had the prison authorities. Charles Sobhraj spent more than twenty years on the road across Asia befriending backpackers, drugs-smugglers, diplomats and businessmen, then drugging, robbing and finally strangling or burning his acquaintances. He is said to have killed between twelve and twenty times. Read the full story at Hardboiled Wonderland.